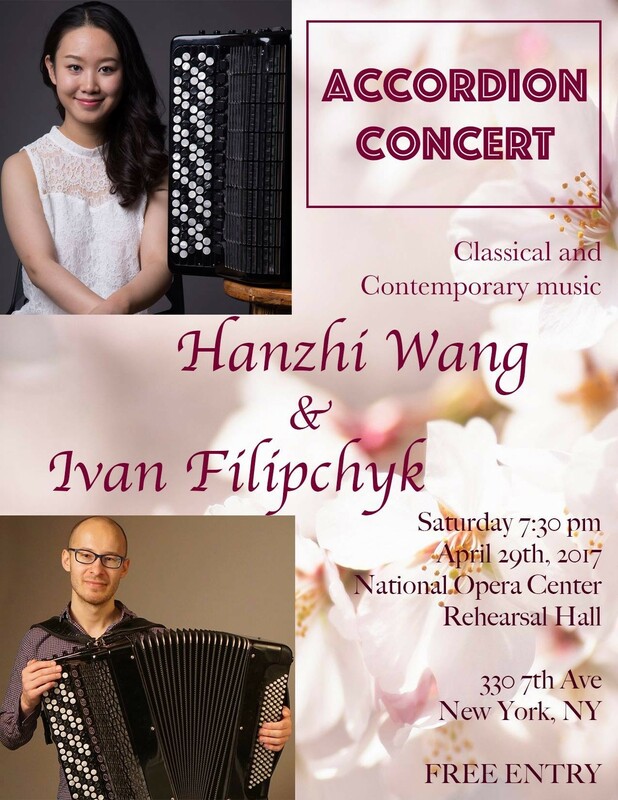 On the 30th of April, Hanzhi Wang has given a gift to the New Yorkers once again by performing at The National Opera Center in collaboration with the NY based accordionist Ivan Filipchyk. 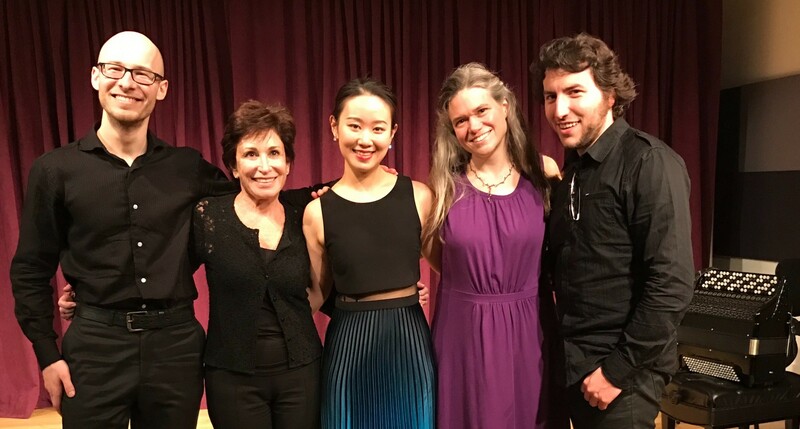 The audience got to enjoy a variety of solo pieces as Ivan played Bach and some of the 20'th century Russian accordion music and Hanzhi presented the Danish original accordion repertoire followed by her brilliant transcriptions of piano compositions by E. Grieg and M. Moskovsky. For the concluding section of the concert, the musicians prepared their duo arrangements of Adagio from the "Little Prince" ballet by E. Glebov and the first scene from the famous "Petrouchka" by I. Stravinsky.